Epleslang, which in Norwegian means “stealing apples from a neighbor’s garden,” was the collective brainchild of a group of students at the University of Oslo’s School of Entrepreneurship. Led by then-student Anne Dubrau, they had an idea that was both humble and audacious. They wanted to create a template for self-sustaining social-enterprises that generated ongoing economic-income by turning the untapped potential of underutilized human resources and wasted local assets into productive work that benefits society and the otherwise underutilized people at the same time. 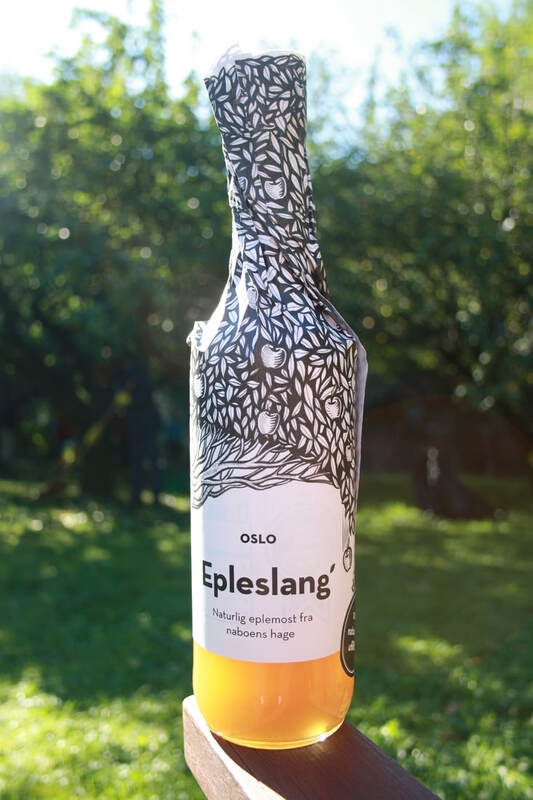 Epleslang's distinctive business model connects the unharvested apples in the Nordre Aker neighborhood of Oslo with the underutilized skills, enthusiasm, and spirit of people with disabilities – and turns this combination into locally produced apple juice, the income from which provides wages to the disabled and supports the organic growth of the enterprise. Similarly, in his book No More Throwaway People, Edgar Cahn, founder of TimeBanks in the US, shows that connecting sick, elderly, disabled, or poorly educated individuals with meaningful work revitalizes people, community, and economic-output simultaneously. This revitalizing connectivity is a hallmark characteristic of all naturally self-sustaining and regenerative enterprises and projects. 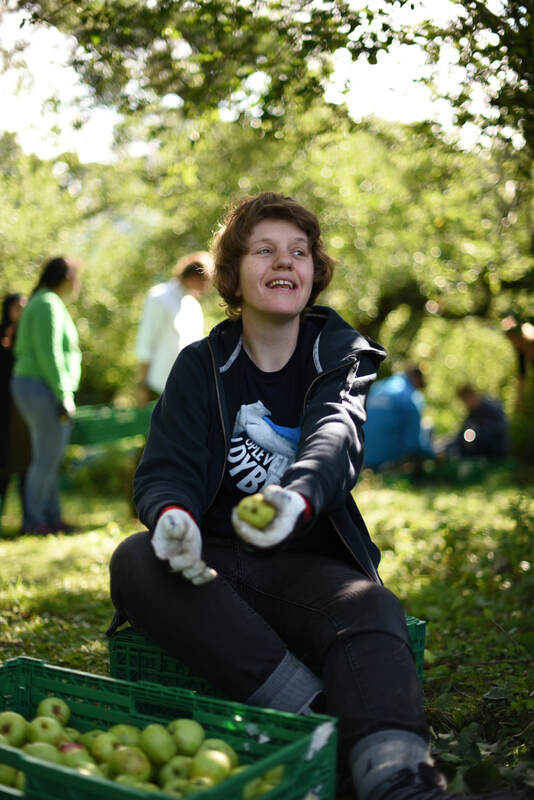 ​​After undertaking some preliminary research, Anne and her colleagues were amazed to discover that as many as 400 to 600 tons of apples were being produced from trees in private gardens in Oslo every year, yet at most only half were being harvested. So they asked themselves a simple question, one closely aligned with renowned American urbanist Jane Jacob’s “theory of import replacement”: Why not produce locally sourced apple juice for local restaurants and grocers from these otherwise wasted local assets as a substitute for apple juice imported from far-flung locales? They answered that question with another one: what if we produced that apple juice from those otherwise unharvested apples by tapping into the potential of another underutilized local resource—the skills, enthusiasm, and “can do” spirit of people with disabilities? And so the social enterprise Epleslang was born. The idea of employing the disabled was enthusiastically embraced by Nordpolen Industrier and Spir Oslo--two Norwegian not-for-profits that serve those individuals' needs and were finding that their clients often had difficulty finding jobs in the conventional workforce. Working capital management was an early challenge for Epleslang since the company had to pay employees wages, the apple press where apples were juiced and bottled, and for the materials for packaging, all before revenues were generated from the season’s harvest. A 500,000 Kroner grant awarded to Eplesland in 2013 as the recipient of “The Social Entrepreneur of the Year” award from FERD Social Entrepreneurs, helped ease cash flow constraints, and enabled the company to take on more employees and increase output. Later, in 2015, the Norwegian supermarket chain Meny began purchasing Epleslang apple juice on a prepaid basis, a business relationship that has continued to blossom. Epleslang is also a client of and borrower from Cultura Bank, a member of the Global Alliance for Banking on Values. "Epleslang is a very important Cultura Bank client, and has from the very start of their business,” reports Cultura's CEO Kjell Fredrik Løvold. “Yes, it is a small enterprise and you could say that it doesn’t contribute much to our bank’s annual financial results. But its contribution to the social and environmental good is immeasurable. We view Epleslang as collaborating with us as we work together to fulfill our values-based missions to build an economy that improves the human condition." Anne Dubrau (foreground), believes the Epleslang model is replicable anywhere in the world where unmet human needs can be paired with underutilized human resources and otherwise wasted natural assets. ​​By the 2016 apple season Epleslang was harvesting 42 tons of apples from over 400 gardens, employing 27 individuals, and producing 70,000 bottles (27,300 liters) of apple juice. Two years ago, to diversity sources of revenue, Epleslang began operating as a franchise, with startups in Stockholm, Uppsala, and Gothenburg Sweden (Palla.nu), and, most recently, Helsinki, Finland (Omenasieppari.fi). In return for two percent of revenues, Epleslang advises its franchisees on human resources practices, provides business advisory services, and invests in business development. “The idea is that in all of these places we want a brand where the produce is very locally based but at the same time there is the force of this bigger, international brand behind it,” Anne explains. “So," she notes, "in any city you will know you are drinking apple juice sourced from that city.” In that spirit, each company is named the equivalent of “stealing apples” in their local language but uses the Epleslang packaging design concept. And, most importantly, all follow Epleslang business values, employing disabled individuals as harvesters. ​She also notes, “So many of our workers have been used to telling people what they can’t do. But when they find their place on our team, they find out what they are really good at doing.” For one person that might be a talent for being strong and consistently dependable in shaking the apples off their branches at harvest time. Others enjoy doing quality checks, are naturally service-minded, and gravitate to garden cleanup after the apples have been picked. Employees with autism are particularly adept at logistics. They invariably have memorized all the stops along the way, know where to go next, and how many boxes were harvested from each location the previous year, Anne reports. Epleslang also employs hyperactive school children who often have difficulty concentrating in a traditional classroom setting. During the very physical workout of a morning’s apple harvesting, however, they are able to release a lot of pent up energy. “They then are able to go back to school or sometimes just sit under a tree and are ready to do some math or physics,” Anne reports. ​Beginning in 2016 Epleslang also began hiring unemployed Syrian and Ethiopian asylum seekers who are Oslo residents. “It provides them with a routine and they find themselves learning Norwegian quickly because they have the opportunity to engage in simple conversations about the tasks at hand with other employees during the course of the working day,” Anne says. Epleslang has also built a loyal community of supporters among the owners of private gardens who donate their apples for harvesting. In fact the company enjoys so much good will and word-of-mouth marketing that it has managed to grow without the need to allocate funds for advertising and promotion. Now that Epleslang has mastered the art of apple harvesting and apple juice production it plans to diversify into other garden-harvested fruits and berries, including pears and currants, that might otherwise go to waste. 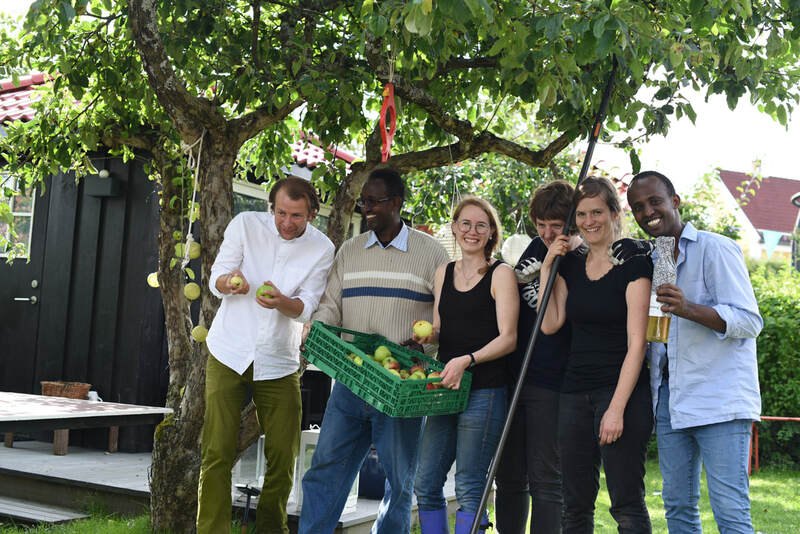 But before they tackle that business challenge the company wants to meet another one: to fulfill the demand from the over 900 Oslo garden owners who are eagerly waiting to have their apples harvested and to join the Epleslang family. Please share your thoughts on EPLESLANG here.